The Amazing Hotel: This restaurant was set in a nice garden and served “amazing” fried lake fish stuffed with ginger, garlic & herbs. They also have soups, bbq skewers, noodle dishes and some Western food. The prices were reasonable: $1-5 / dish. Star Flower Restaurant: This restaurant serves up delicious pastas, wood fired pizzas, salads and sandwiches. Great Italian food. On the main road. Red Mountain Estate Winery: This stunning winery also has a lunch and dinner menu. We recommend going to the winery for sunset, this is when the lake looks spectacular. The menu here is (obviously) more pricey than the restaurants in town. However, it’s more about the atmosphere. If you’re not interested in spending too much money, you could opt for a 2000kyt wine tasting and a cheese plate for 4000kyt. At night, along the main street, many streetside vendors set up their stalls and serve BBQ skewers. They put out tables and chairs for customers to sit on as well. Skewers are very cheap and it’s a fun vibe at night. This is where you’ll find most of the backpackers hanging out. Apart from restaurants, Mingala Market is a great local place to find fresh produce. 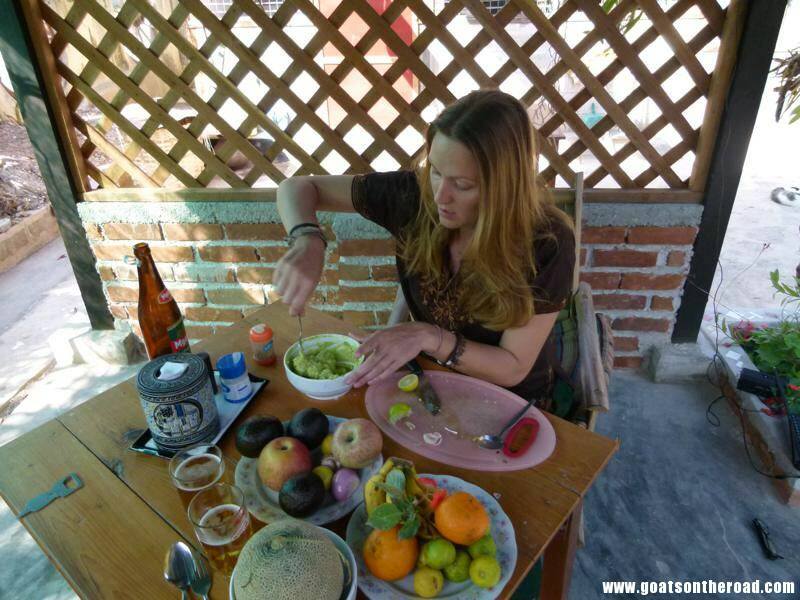 We suggest stocking up with ripe avocados, garlic, onions, cilantro & limes and making your own guacamole!